Girl, the matriarch of our dogs, comes from ancestors who lived free ranging. First noticed back in 1961 on the Lynches River Territory, the dogs had found enough resources and shelter to live on their own. Ten years ago, Dr. Don Anderson saw a mother dog and three puppies approach a spring near a pond on his family's 700-acre spread. One puppy was left behind, and he took it home. Don named this dog Lynches River Tadpole, and this is how the Lynches River Kennel line of Carolina Dogs began. View the habitat at Lynches River. 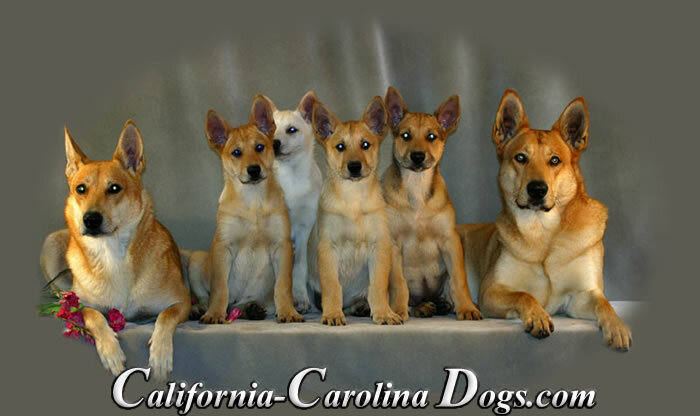 I am Susan B. Anthony, breeder of the finest Carolina Dogs available. Vaccinations are current. 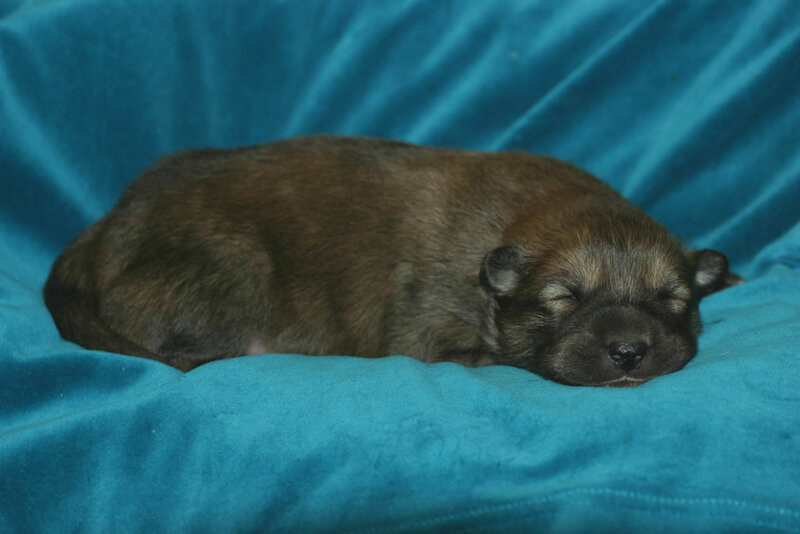 Pups are guaranteed to be healthy, free of any genetic abnormality and are guaranteed to have superior conformation. 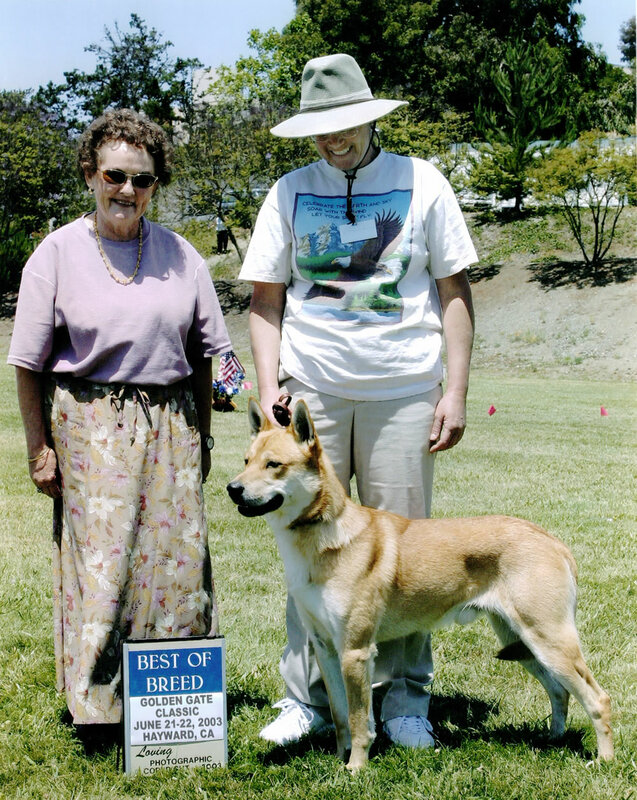 Bear, one of our second generation puppies, has won nine blue ribbons and was the runner-up in three best of shows at the Golden Gate Classic Dog Show at the University of Hayward. Bear completed the requirements for master championship and recorded on June 19, 2004 as a champion of beauty. 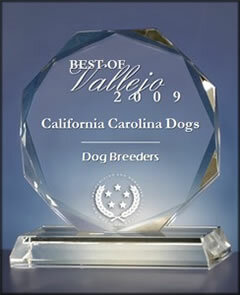 View our awards page. How to buy a puppy.